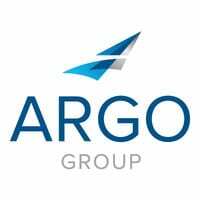 Argo Pro, a member of Argo Group International Holdings, Ltd., has launched a new Argo PROtect line of products and enhanced errors & omissions (E&O) forms for four different classes of professional services. Features include professional liability and cyber liability coverage; and supplemental payments coverage for crisis management expenses, appearance at proceedings, disciplinary proceedings and subpoena assistance. Coverage limits of $5 million primary and $10 million excess available. Coverage features include: professional liability, cyber liability and pollution liability coverage; risk management services; and up to a $25,000 deductible credit for voluntary mediation. Maximum capacity of $5 million. In Austin, a panel hosted by Argo Digital discussed the proliferation of data, the rise of artificial intelligence, and how they can help assess risk and improve business.